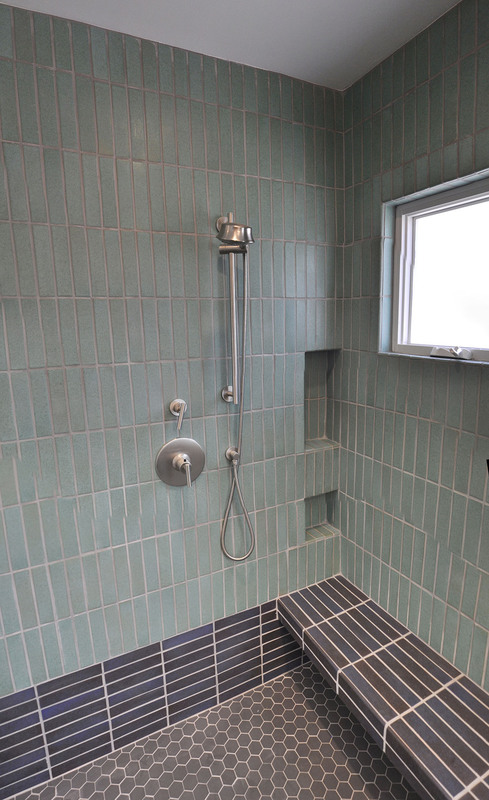 The tile is by Arto Brick, who also made the kitchen backsplash tile. The cabinet wood species is rotary cut red birch provided by GL Veneer. The cabinet maker did a great job at cutting adjacent panels from the same piece wherever possible, allowing the big swirly grain patterns of the wood to continue very noticeably from one panel to the next across the whole face of the cabinet. 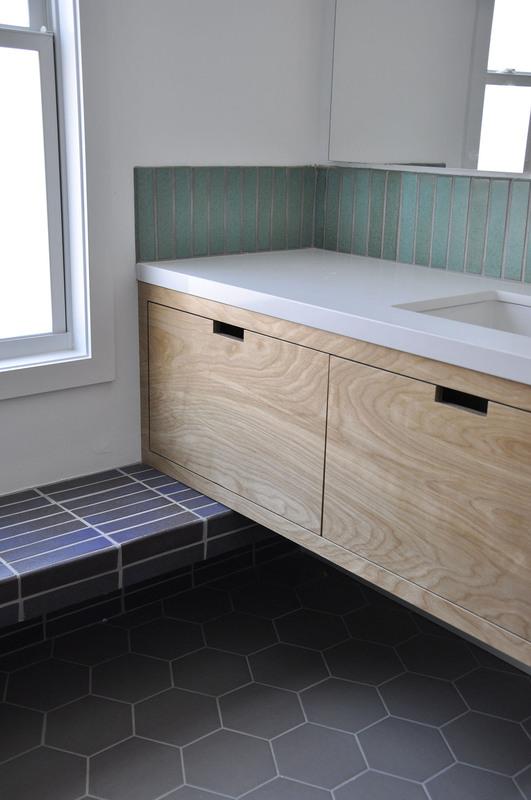 The cantilevering tile bench passes right through the glass and into the shower. The client really pushed for this intricate detail and we were more than happy to oblige. The bench is held up by steel supports that extend into the wall framing. The tile layouts were all carefully mapped out in advance. 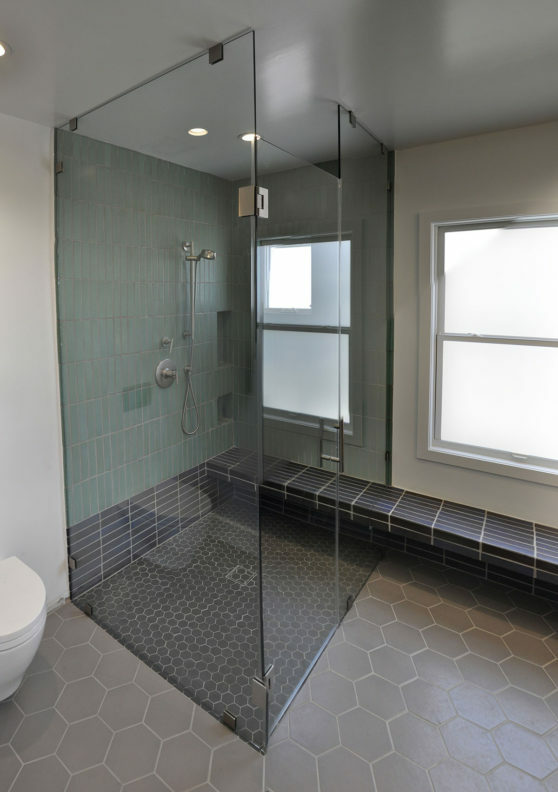 Antonio, the tile installer, deserves extra kudos for the effort he put into making sure the shower niches worked out perfectly with the tile grid. 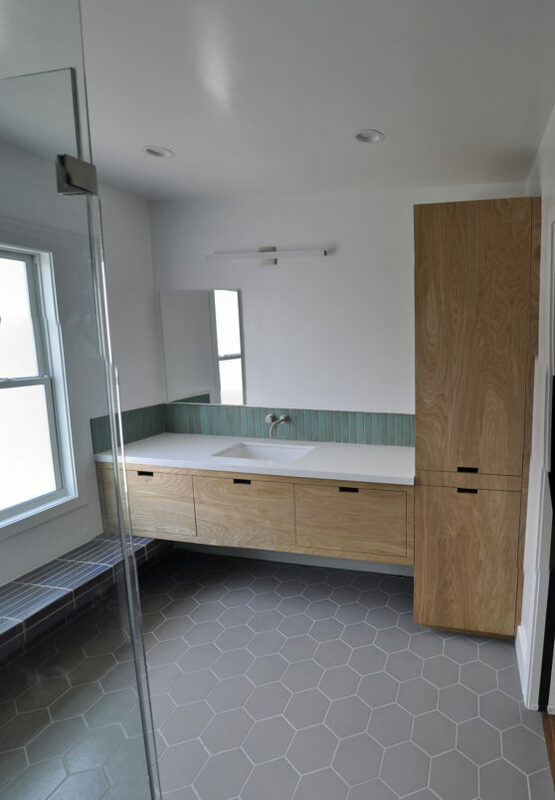 It’s often the case that the simplest-looking things require the greatest effort, and this was definitely the case with the master bath tile. From working with the clients in the design stages, to working with the general and sub contractors in the implementation, this one relatively small room had a lot of effort put into it, and I’m extremely please with how it turned out. This entry was posted in Oxford Square and tagged Casework, Interiors, Tile. Bookmark the permalink.